Shūgorō Nakazato was born in Nahn-city Okinawa on August 14, 1919. While attending normal school in Osaka Japan in 1935, he began his study of Karate at the age of 16 under the instruction of Ishu Selichl. Nakazato studied under Sensei Ishu for 6 years. During the war, he was in the Japanese Calvary. After the war was over, Nakazato returned to his home in Okinawa to find his family a casualty of war. In June of 1946, he began his study of Karate under Choshin Chibana, who was the Menkyo inheritor of Anko Itotsu. In 1948 Chibana’s Shuri dojo closed but Nakazato continued his study with Master Chibana. For one year Chibana gave Nakazato personal tutoring at Chibana’s home. In 1951 Shūgorō Nakazato was instrumental in helping Chibana open his new Dai Ichi Dojo in Naha City at Matsuo. 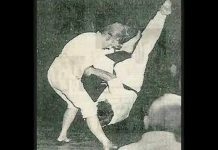 Chibana continued his personal tutoring of Nakazato at the Dai Ichi Dojo until January 10, 1954 when Nakazato received his Shihan Menkyojo at which ti me he became Master Chibana’s Shihan Dai (assistant). 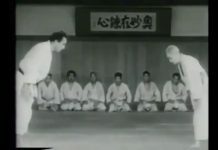 After work as the Shihan Dai in the Dai Ichi Dojo under Chibana for one and half years, Nakazato was commissioned by Chibana to find the Shorin-Ryu. Shorin Kan Nakazato dojo in Naha City at Aza. 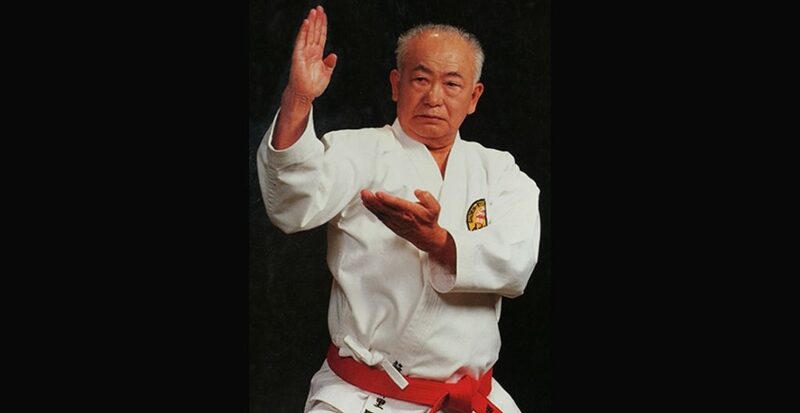 Shūgorō Nakazato was appointed as one of the directors of the Okinawan Karate Federation when it was formed in 1956 with the four major (shiryuha) systems of Karate in Okinawa Goju-Ryu; Uechi-Ryu, Shorin-Ryu, Matsubayshi-Ryu. All during this time Nakazato devote d all of his time and energy to teaching and perfecting Shorin-Ryu Karate-do. 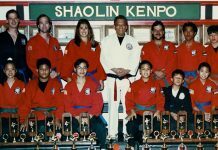 In 1960 the Okinawan Karate Federation promoted him to Eight-Degree Black Belt and Kyoshi. Seven years later Nakazato continued his climb to the top of the Shorin-Ryu hierarch y when Master Chibana and the Okinawa Shorin-Ryu Karate-do Kyokai promoted him to Hanshi and 9th Degree Black Belt. Shūgorō Nakazato began his study of weapons almost from the beginning of his training in 1935. 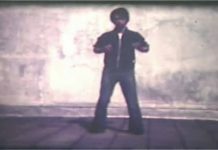 He was trained in the sai, bo, nunchaku, tonfa, and nicho kama, but he specialized in Bojutsu for 4 years. Throughout his career he has given of his knowledge very wi llingly. 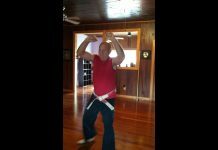 He has demonstrated his technique of Karate all over the world, in Europe, India, Africa, mainland Japan, and he has made at least 8 trips to America. 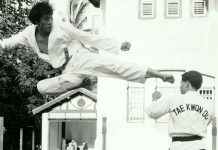 He has appeared on television many times and is often a guest on the “Tokyo TV Afternoon Show.” When Master Chibana passed away, Shūgorō Nakazato inherited the Leadership of Okinawan Shorin-Ryu Karate-do, thus becoming a 10th Degree Black Belt. Shūgorō Nakazato died August 24, 2016 at the age of 96 of aspiration pneumonia.